Oxford Film Festival Take 5 With...: 2010 Panels include special talk with "Blind Side" actor/filmmaker Ray McKinnon and More! 2010 Panels include special talk with "Blind Side" actor/filmmaker Ray McKinnon and More! The Oxford Film Festival panel lineup was announced today. All panels are open to the general public as part of their film festival pass. Panels include a variety of topics including distribution, celebrity news and a special conversation between Elvis Mitchell and Blind Side star Ray McKinnon. "We have been wanting to bring Ray McKinnon back to Oxford, where he filmed "The Gun in Betty Lou's Handbag" ever since we screened his Oscar-winning, live-action short "The Accountant" in our 2005 festival," said OFF Co-director Michelle Emanuel. "He has been in other films in our subsequent lineups, like Come Early Morning (OFF 2007) and The Last Lullaby (OFF 2009), but with his roles in That Evening Sun and The Blind Side, he's finally getting the attention he deserves, and we are thrilled that he can join us this year." Speed Pitch is a great way to meet lots of distributors in a quick, no-pressure environment. The ‘speed pitching’ will take place in fast turnaround, one-to-one, round table sessions with representatives from production companies and independent distribution companies. You have 1-minute to pitch your film or idea. When done, we will have a panel discussion about what distributors saw that was good and ideas on how to improve your first impression with a distributor. You will have the opportunity to ask questions afterwards. NOTE: Filmmakers must sign up in advance for the speed pitch session. Anyone is welcome to sit in and observe the panel without participating in the speed distribution. Filmmakers must sign up in advance for the first portion of the distribution workshop where they will have an opportunity to pitch one-on-one with a variety of distributors and producers. "For the independent filmmaker, there is nothing more important than distribution," OFF Co-director Micah Ginn said. "Distribution is critical to not only sharing your film with the masses, but in finding ways to make filmmaking a profitable venture. This is the panel that changes every year, too, as the means by which film is distributed is ever shifting with the growth of the internet. nyone who has made a film of any kind should be at this panel and join in the discussion. The folks who'll be featured on the panel can help you understand how to get your film sold and seen." 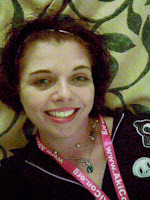 Kim Voynar is film critic and features editor for Movie City News, "Hollywood's homepage," where she reviews films and writes two regular columns. Prior to joining Movie City News, she was managing editor for Cinematical. When she's not watching movies, traveling to film festivals or writing, she stays busy homeschooling her four youngest children. Chris Holland is the author of "Film Festival Secrets: A Handbook for Independent Filmmakers" (filmfestivalsecrets.com) and the Director of Festival Operations at B-Side (bside.com). He previously served as the Marketing Coordinator for the Austin Film Festival and has served on various programming committees and festival juries. Previous publications include "Reel Shame: Bad Movies and the Hollywood Stars Who Made Them" and "The Radio Times Guide to Film." In 1996 Holland co-founded Stomp Tokyo (stomptokyo.com), one of the first web sites dedicated to fringe cinema. The site was touted as "a place to indulge one's questionable taste" by the New York Times. Holland also served as a moderator for a panel at last year's Oxford Film Festival. David Basulto began his career in Hollywood as an actor, but used his experience gained in a top Wall Street brokerage house, to form his first production company, Basulto Entertainment Group, soon followed by Clarity Pictures. "Love and Action in Chicago," which he produced, was an official selection to the 1999 Toronto Film Festival. David next produced the feature film "Wish You Were Dead." The film was produced in association with Mel Gibson's Icon Entertainment. David is also the founder of the popular filmmaking podcast and website FilmmakingCentral.com and also recently launched FilmSchoolOnDemand.com, an online film school that also offers students a first look deal with a distribution company. Steven Beckman focuses on domestic film acquisitions at Cinetic Rights Management, sister company of Cinetic Media. Steve identifies and acquires relevant film content for CRM, and strategizes the projects' distribution and release into the marketplace. Steve's previous industry experience includes The Weinstein Company, DreamWorks, 20th Century Fox, Marc Platt Productions and Hock Films. He has also produced a number of independent documentaries and concert films. Steve graduated from New York University with a B.A. in history and minor concentrations in economics and cinema studies. Lee Caplin is Chairman and Founder of Picture Entertainment Corporation, the multi media company that originated and Executive Produced the Academy Award®-nominated, $125 million Sony/Columbia Pictures motion picture release “Ali,” starring Will Smith. The Executive Producer of the Literary Estate of Nobel Prize winning author William Faulkner, Mr. Caplin is a leader in the telecommunications and multimedia industry for over 20 years, and is also co-founder of Keystone-Cineville Entertainment Group, a film production company with an multi award winning library of over 40 films. We scan the headlines while waiting in line at the grocery store. We watch Entertainment Tonight and gossip about the faces more familiar to us than our own neighbors. The art of the celebrity interview will be examined with those who work to get us the news of what our favorite on screen faces are doing. Moderator Lisa Rosman, film journalist for US Weekly will guide film journalists in a robust discussion about getting the scoop. 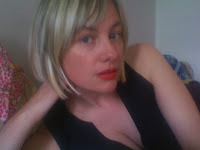 Formerly the film editor of the the Brooklyn Rail, Lisa Rosman works as a film journalist for such publications as Movie City News, Premiere Magazine, New York Magazine, Time Out New York, Salon, Indiewire, and the national online weekly Flavorpill, where she served as film editor. Currently, she writes the film and television blog New Deal Sally http://blogs.indiewire.com/lisarosman/, in addition to working as research chief and a film critic for Us Weekly. She has also commented on film for the radio network NPR, as well as the television stations the IFC and TNT. She has served as the official blogger for Roger Ebert's Overlooked Film festival for the last three years. and for three years ran the popular film blog The Broad View at lisarosman.blogspot.com. Before that, she worked as a labor organizer for the garment workers' union and as an assistant for Elmo on Sesame Street (he was very grumpy). 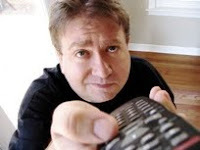 "James Rocchi is a film critic and entertainment journalist who's covered the world of movies for outlets including MSN Movies (where he currently writes as a staff critic and columnist), Redbox's redblog, AOL's Cinematical.com AMCtv.com, E! Online, Mother Jones Magazine, Netflix and more. A member of the L.A. Film Critics Association, the Broadcast Film Critics of America and the Online Film Critics Society, he's covered the Cannes, Sundance, Toronto, Tribeca, Oxford, Palm Beach, and South by Southwest Film Festivals, and has appeared as a critic and commentator on CBS-5 San Francisco, CNN, the Independent Film Channel and A&E's Biography. Born in Hamilton, Ontario, he lives and works in Los Angeles." Jen Yamato recently joined Movies.com as their film critic but before that spent four years as an editor for the movie review website Rotten Tomatoes, where she wrote about film and DVD news, interviewed celebrities, and covered film festivals including Sundance, Cannes, and Toronto as well as the annual Comic-Con International. She also currently freelances for movie websites Cinematical, FEARnet (the Twilight: New Moon blog) and Film.com from her home in Los Angeles, where she lives with two adorable cats and a film critic. Join us for an informal chat with esteemed entertainment critic and writer Elvis Mitchell as he discusses film, life and more with one of the Festival's honored guests, actor/filmmaker Ray McKinnon. Elvis Mitchell has been the host of The Treatment since 1996. Produced at KCRW, the show is nationally syndicated to 15 markets. Elvis is also the entertainment critic for NPR's Weekend Edition with Scott Simon. 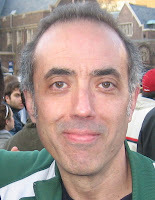 Mitchell was a film critic for the New York Times from 2000-2004. Prior to that, he was film critic for the Fort Worth Star-Telegram for two years, starting in December 1997; there, he won the 1999 AASFE Award for criticism. He was film critic for the Detroit Free Press, the LA Weekly and California magazine. In 1993, he was nominated for a Writer's Guild of America award for his contributions to "The AFI Achievement Award Tribute to Sidney Poitier." Mitchell is a Visiting Lecturer on African and African American Studies and on Visual and Environmental Studies at Harvard University. In October of 2002, at the invitation of Dr. Henry Louis Gates, he gave the Alain Leroy Locke lectures for the African American studies department at Harvard University. A graduate of Wayne State University with a degree in English literature, Mitchell hosts the "Independent Focus" interview program for the Independent Film Channel. Mitchell is the former editor-at-large at Spin magazine. He has also written for Esquire and the New York Times Sunday Magazine. He is currently editor-at-large at Interview magazine. RAY MCKINNON (center of picture: Coach Cotton in "Blind Side") is an award-winning filmmaker, as well as an actor. In 2002, he won an Academy Award® for Best Live Action Short Film for the dark comedy "The Accountant," his first effort as a writer/director (and which played the Oxford Film Festival in 2005). In 2004, he made his feature film writing and directing debut with the independent film "Chrystal," which also marked his first producing effort. Starring Billy Bob Thornton, Lisa Blount and McKinnon, "Chrystal" was one of 16 films selected for the dramatic competition at the 2004 Sundance Film Festival and was released theatrically in 2005. McKinnon then wrote, directed and starred in "Randy and the Mob," which won the Audience Choice Award and the President's Award at the 2007 Nashville Film Festival, and was released theatrically that year. McKinnon's latest feature project is the drama "That Evening Sun," which he produced and in which he co-stars with Hal Holbrook. The film debuted at this year's SXSW Festival in Austin, where it won the Audience Award and a Special Jury Prize for Best Ensemble Cast. It also won the Audience Award at the Nashville and Sarasota Film Festivals, and the Jury Award at the Atlanta, Newport International, Little Rock, Indie Memphis and New Hampshire Film Festivals. McKinnon's previous film acting credits include "The Missing," "O Brother, Where Art Thou?," "The Grass Harp," "The Net," "Apollo 13," "A Perfect World" and "Bugsy." On the small screen, he had a recurring role on HBO's acclaimed series "Deadwood" as the Reverend H.W. Smith. He has also guest starred on numerous series. McKinnon recently sold his original television pilot, entitled "Rectify," to AMC and will serve as executive producer on the project. He returns to Oxford for the first time since he filmed "Gun in Betty Lou's Handbag." Born and raised in Georgia, McKinnon began his professional acting career on stage in Atlanta. He is married to his frequent producing partner and muse, actress Lisa Blount. The Oxford Film Festival program is now available on the oxfordfilmfest.com Web site.